Love is the essence of who we all are. It’s the one thing we all have in common that we want and need to have in our lives…and often feel like we are lacking the most. Love to me is an acronym: Living On Vibrant Energy. Because love is vibrant energy flowing through you and into your life. In the Bringing Joy series of picture books, Joy shows how we can “plug” into Source energy, which is the same as love. When we are feeling like we are lacking in love, it is only because we are “unplugged” in some way from that vibrant energy. We can’t see electricity but we know it’s there and that it words for us. It’s the same with Source energy or love. We can’t see it but we know when we feel it or have it in our lives. The Institute of Heartmath is teaching about coherence and how to reach it. This is essentially when your heart is open and you are experiencing a state of love and gratitude. Love and gratitude are the strongest positive emotions. 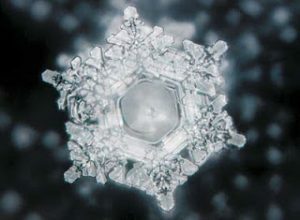 Another book I highly recommend is Hidden Message in Water by Emoto Masaru. He looks at the world from the camera lens of capturing crystals as they are forming on freezing water. He has also discovered that love and gratitude create the most beautiful crystals. It’s very exciting to see so much research happening about love, our hearts, our emotions, and how we can learn to use all this knowledge to better our lives. 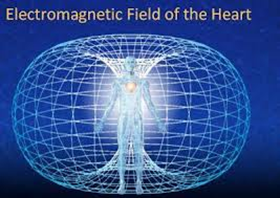 This entry was posted in Inspiration, Joy, Personal Development and tagged Bringing Joy, electromagnetic field, Emoto Masaru, heart, heartmath, Karin Volo, love on February 20, 2017 by Karin Volo.